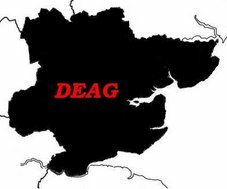 2mm Darkest Essex Area Group: Is the end in sight? A short post to show how the layout is coming along. I have started final fixing of buildings, backscene etc. and took this photo to see how it looked. I am pleased with the result.